How to Set Vibrate While on Answering the Call on Android KitKat 4.4.2 Smartphones? When you will activate and set the feature of vibration on answering the call on Android KitKat 4.4.2 phone, the phone will vibrate when you will answer the incoming call. It would remind you that you are receiving the call and you have not called the contact. Command Line: Phone Dialer > Settings > Call Settings > INCALL VIBRATION – Vibrate on answer. 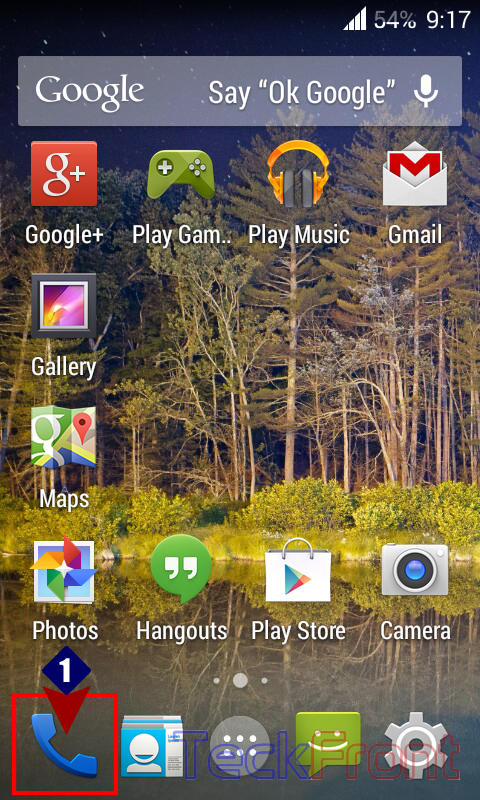 1: Tap ‘Phones Dialer’ on the Home screen of Android KitKat 4.4.2 Phone. 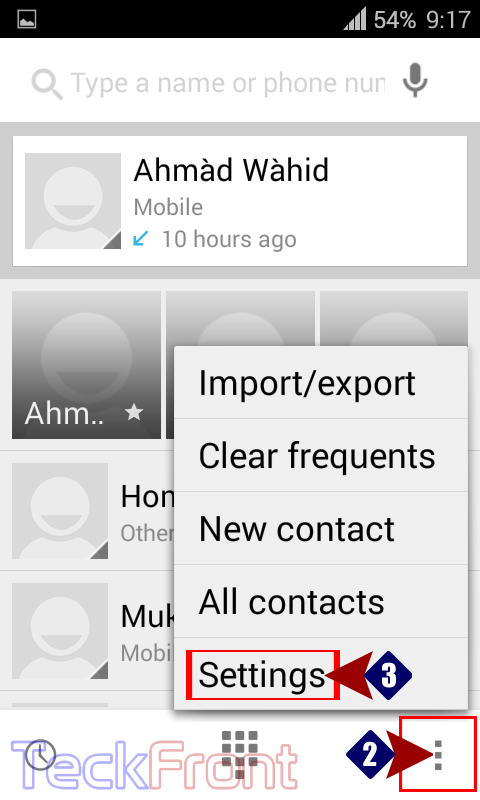 2: On the ‘Phone Dialer’ screen, tap ‘Settings’ button, available in the right corner of the screen. It will open up ‘Settings’ popup menu. 3: In the ‘Settings’ popup menu, tap the ‘Call settings’. 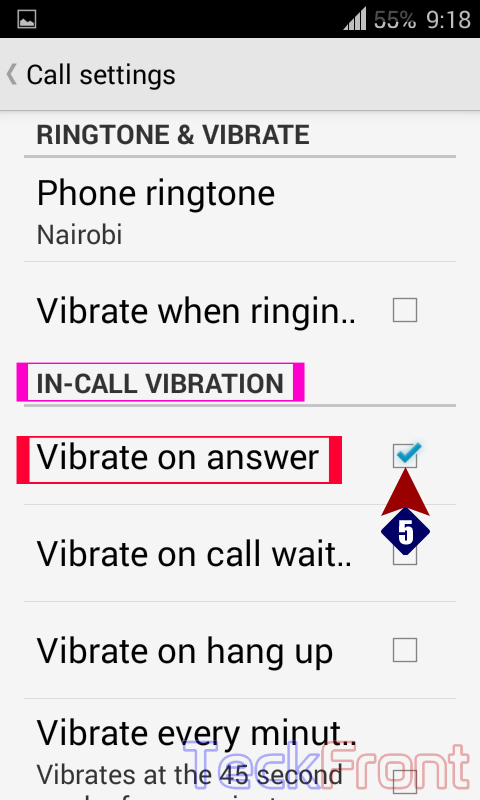 4: On the ‘Call settings’ screen, see the ‘Vibrate on answer’ under the IN-CALL VIBRATIONS. It is unchecked, i.e. disabled. 5: Tap the ‘Vibrate on answer’ to check it to enable this feature. Now, while you are attending the call, vibration will remind you that it is a received call. This feature is activated now. Newer How to Set Vibrate on Your Android KitKat 4.4.2 Phone While on Hang up? Older How to Double-Tap on Status Bar to Sleep the Android KitKat Phone?